Taylor Swift breaks her silence on politics, supports Democrats in Tennessee races over Republicans. Pop megastar Taylor Swift have finally put an end to her silence of being a mute spectator and have no say on political view. The 28-year-old for the first time have weighted her voice on the political situation of US through her social account which is loud and clear. Pop megastar Taylor Swift took to her Instagram account sharing her views on upcoming elections in Tennessee, intending to vote Democrats Phil Bredesen and Jim Cooper in the House of Representatives over Marsha Blackburn from Republican party. For the first time Taylor Swift have voiced her opinion on the state of politics in the United States sharing with her millions of fans on Instagram. Taylor Swift’s Fans Got Furious Over Kim Kardashian For Posting Naked Pic Of Taylor, Sent Her Rat Emojis! There are other celebrities from the music industry like Beyoncé, Katy Perry and Lady Gaga who have regularly used their powerful social platform to educate their fans and have influenced their say on political state. 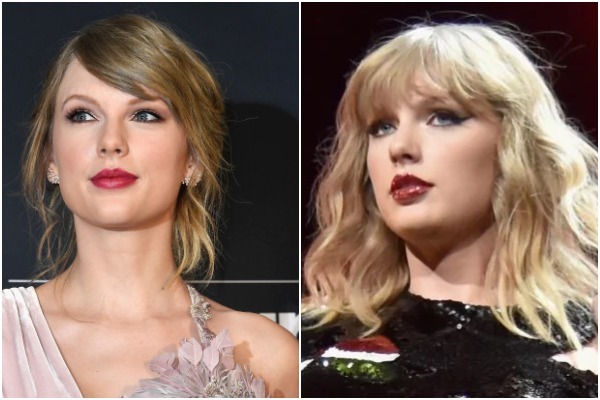 Whereas, Taylor Swift remained tight lipped until now and received backlash for not using her influential social platform and fame to speak on political issues. Finally Taylor broke her silence on political angle and have clearly stated her opinion in her Instagram post on Sunday. She have lashed out at Republicans who in the past voted against equal pay for women and gender discrimination. 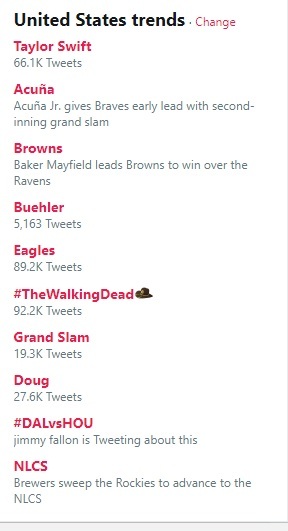 Taylor Swift’s belated break of silence on politics is currently trending on number one on twitter, though she should have voiced her opinion long back. Celebrities and others are retweeting Taylor Swift’s political post and thanking her for finally using her power. And just like that Taylor Swift is trending at number one.